May 4, 2017 (Ramallah, Occupied Palestine) — In a letter issued today, over 170 Palestinian football clubs and sports associations urged FIFA to immediately suspend the Israeli Football Association’s (IFA) membership for its inclusion of seven football clubs that are based in illegal settlements. The letter comes just days before FIFA’s annual Congress where FIFA is scheduled to make a decision on Israel’s settlement-based clubs, which contravene both international law and FIFA’s own statutes. Palestinian athletic clubs call on FIFA to “uphold human rights and implement FIFA statutes without discrimination at the upcoming congress on May 11” by immediately suspending IFA’s membership for its inclusion of sports clubs that are based in illegal settlements in the Occupied Palestinian Territory. The letter cautions that “Palestinian football rights, FIFA’s reputation as champion of human rights” depend on FIFA’s decision in this regard. Sports clubs from across the occupied West Bank added their name to the letter including the Hilal Al Quds Club, The Beit Sahour Women’s Club, Hebron Youth Club, Orthodox Club in Bethlehem, Bi’lin Club and Dheisheh Youth Athletic Club. Palestinian clubs recall FIFA’s “historic role in the fight against apartheid in South Africa when it expelled the South African Football Association at its 1976 congress.” They urge FIFA to once again take this “historic opportunity” to show a serious commitment to human rights. The letter raises concern over reports that FIFA will give the IFA six months to exclude settlement teams, seeing it as a continuation of FIFA’s delays. “Two years of attempts by the FIFA Monitoring Committee Israel-Palestine to rectify this issue should be proof enough that the status quo should not be extended,” the letter states. 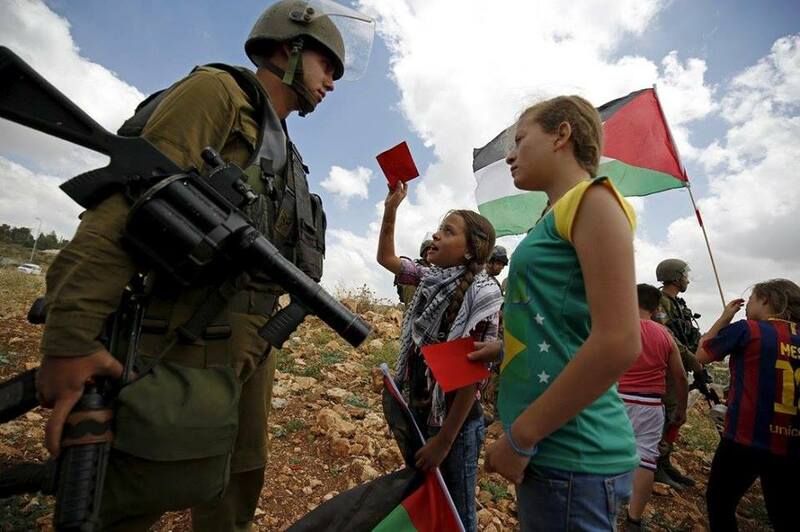 This letter follows an international appeal from over 120 civil society organizations representing millions from across the globe, which called on FIFA to make a decision to exclude Israeli teams based in illegal settlements its congress.